Hello lovelies! 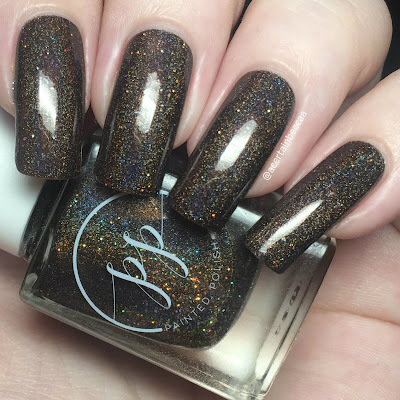 Today I have my swatches of the Painted Polish Ballroom Duo. The duo is made up of two ultra holographic shades inspired by the ballroom scene in Beauty & The Beast. I am a massive Disney fan, so picked these up as soon as they hit Rainbow Connection. To me both polishes were more Autumn shades, so I've waited until now to share them. 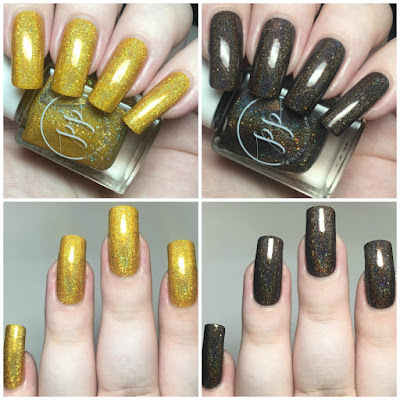 Read on for my full swatches and more info! 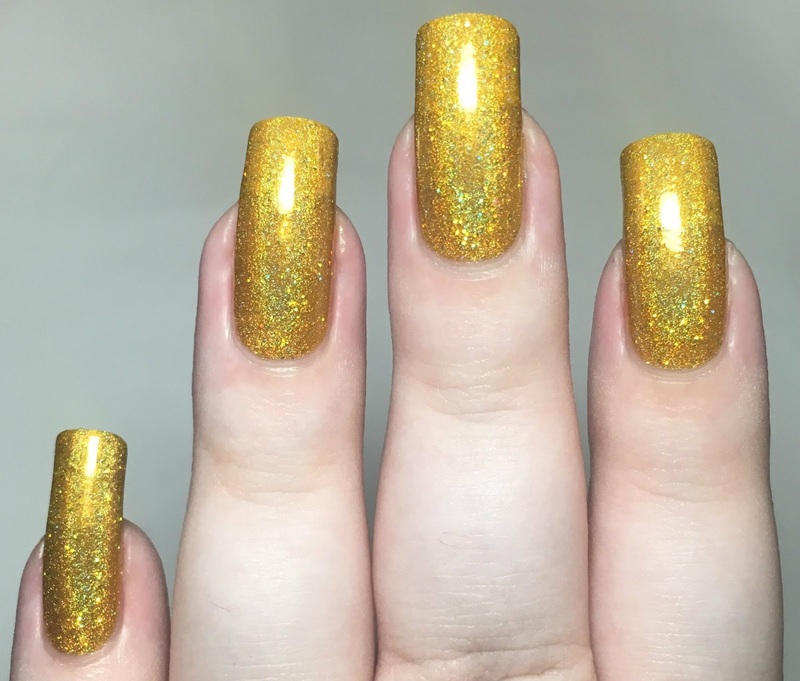 'Belle of the Ballroom' is a golden yellow ultra holographic with silver holographic microglitters. This starts off fairly sheer, but has a lovely smooth formula and applies really evenly. A second coat builds up really well. I could still see my nail line from some angles, but not enough to justify another coat. Below is two coats with topcoat. 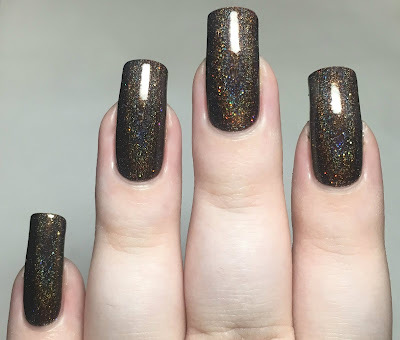 'Boogie with the Beast' is a rich deep brown ultra holographic with silver holographic microglitters. The formula is smooth and easy to apply. This is the more opaque of the two, although isn't quite there on the first coat. A second brings it opaque and deepens the colour. Below is two coats with topcoat. What do you think? Are you a fan of Beauty & The Beast? I may have picked these up largely duo to the inspiration, but it helps that both polishes are gorgeous! They're also both very unique to my collection. I have done some quick stamping over 'Boogie with the Beast' which I will share on Instagram. The Ballroom Duo is available on the Painted Polish website here. 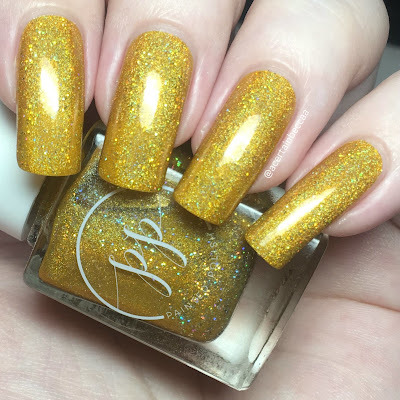 'Belle of the Ballroom' is also available on Rainbow Connection here, although unfortunately 'Boogie with the Beast' is currently sold out.